Sep - 26 | By: Eastern Oregon Film Festival | no comments. #EOFF2018 will open with director Bridey Elliot‘s hilariously-spooky debut feature CLARA’S GHOST, in which she cast her entire family to play its dysfunctional protagonists. Friday night will wrap up with newcomer Erik Bloomquist‘s unsettling, psycho-horror drama LONG LOST about two brothers meeting for the first time. The final screening and closing night feature is none other than EOFF Alumni and community favorite Jim Cummings‘ heartfelt comedy about a cop who loved his mom and hailed as a “A visual tour de force” by RollingStone, THUNDER ROAD! Get bright-eyed and bushy-tailed with the recently retired cult classic demon destroyer of The Evil Dead. 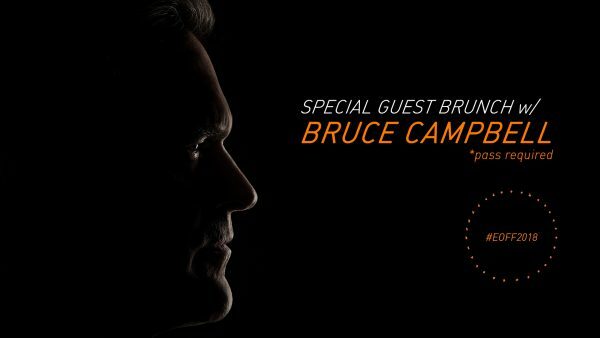 Bruce Campbell will join festival-goers for an intimate talk and discussion Saturday, October 20. Campbell, an Oregonian since 1998 has been involved in the film industry for nearly 40 years. Mr. Campbell will share insight from his dynamic career and how technology and distribution mechanisms have impacted the business and craft of independent film. Friday night, October 19, catch MÁSCARAS the psychedelic instrumental trio of Papi Fimbres, Carlos Segovia, and Theo Craig. It’s a jam with themes that become “songs” that live and breathe, leaving room for the unexpected. Each performance is a ritual to which you are invited. 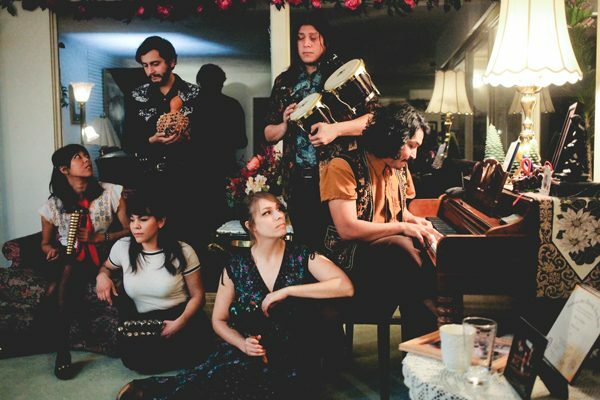 Opening the night will be HEALING GEMS (photo above) from Los Angeles, CA. – SHOUT NOTE (Healing Gems). The closing night after-party, Saturday, October 20 will feature Boise’s SUN BLOOD STORIES. This trio is a mass of harmonic noise distilled into occasionally delicate, but always haunting songs. The band is comprised of three (3) equal members: Amber Pollard, Ben Kirby, and Jon Fust; this current arrangement is the realization of a sedulous refining process that has guided them into trio form. Sun Blood Stories is dreamy, aware, personal, open, fuzzed out, and loud af. Following will be exactly what is needed after three days of intense and thoughtful independent film and late night wanderlust, CHANTI DARLING (Portland, Oregon) would like you to know that “RNB ain’t no joke.” The group drinks from the sacred founts of Disco, Boogie Funk, and the dizzying universe of house music. Teasing out the essential filaments, the act weaves a sound that nods to the past as it blasts into the future; urgent, irresistible, and absolutely of the moment. All festival after parties will commence after the final feature film each evening and will be held at festival hq (112 Depot Street). Members and Pass Holders are in for free, $10.00 per night cover at the door. Complete program details, movie trailers, and Festival Passes available to purchase online at eofilmfest.com. Socially @eofilmfest.